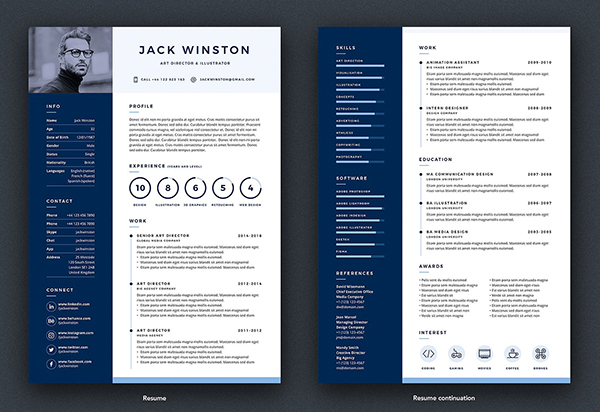 Elegant modern resume templates designed to make an impression. Professional resume templates are easy to use, so you can quickly make your resume for any opportunity and help you to get your dream job. 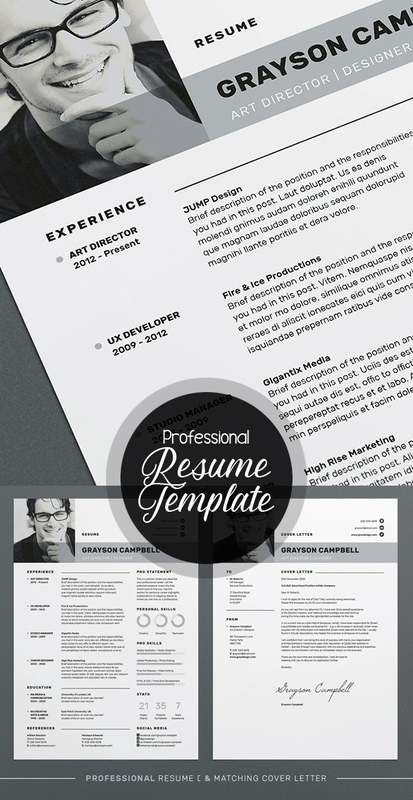 All resume templates available in Photoshop, InDesign, Illustrator and MS-Word versions. These resume templates are clearly organized and labeled so you can be confident in getting the best results in the fast possible time. You can prepare this design for your project with a few step. Just drop in your own images and texts and it’s ready. 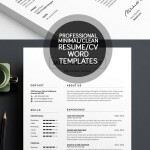 Check out the screenshots of cv resume templates to see all the features. Please, feel free to post a comment and tell me what do you need more. 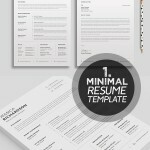 I will try to add more minimal resume templates soon. A jam-packed super clean design, including charts, skill bars and stats, ‘Grayson’ offers a meticulously? crafted layout to suit any profession. Also included is a matching cover letter (including sample letter) for a complete presentation. 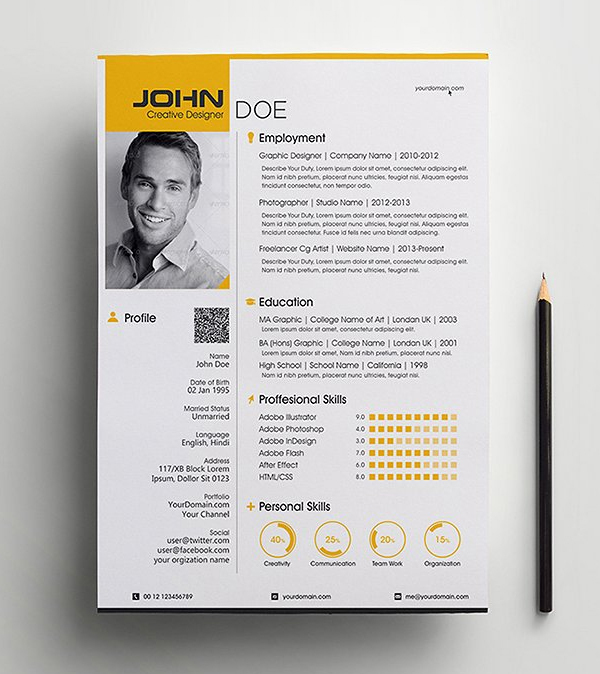 Top Selling Resume CV Templates with matching Business Card. All artwork and text are FULLY CUSTOMIZABLE; easily edit the typography, wording, colors and layout in Photoshop, Illustrator, Indesign & Ms Word. 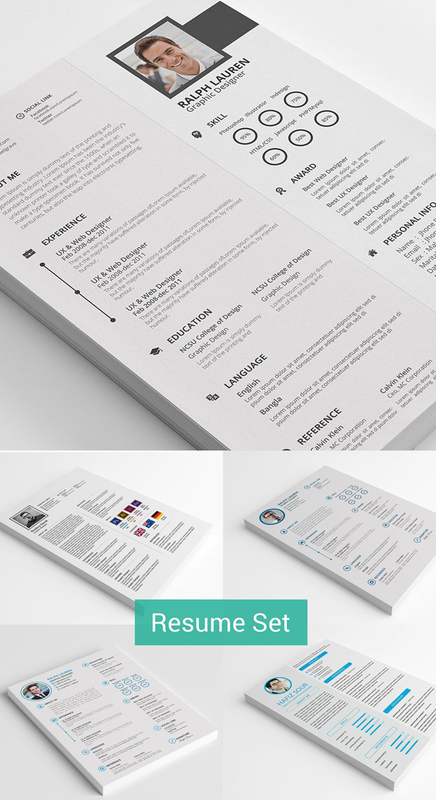 In our shop you can get high quality, modern and elegant CV templates that are drawn by professional designer. 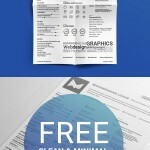 Our resumes combine nicely thought out design and enough space for your information. We are sure that our Fortunelle Resumes will bring you a good luck and will help you to get your dream job! 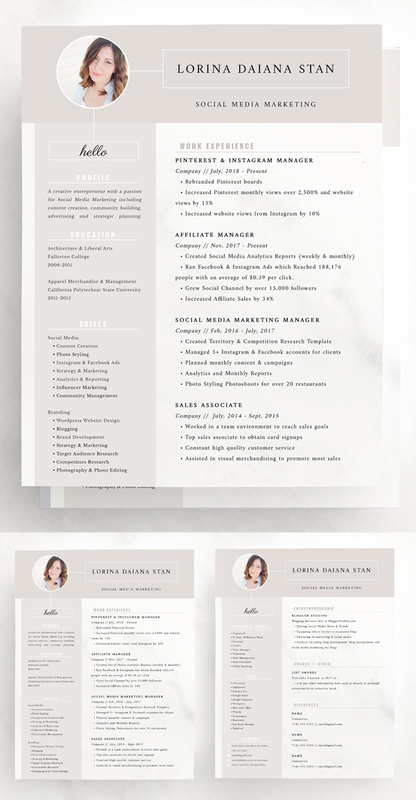 6 thoughtful and stylish resume designs that come complete with: Resume template in .ai, .psd eps and .docx format, Cover letter template in .ai, .psd and .docx format, Portfolio template in .ai, .psd and .docx format, A list of all the necessary fonts, plus links to download them for free. The layers are all organized so you can easily change colors, fonts, copy, backgrounds, etc and make it your own! It’s set in two folders (Front of Resume & Back of Resume). 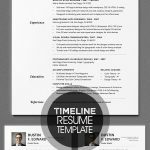 This resume template is very easy to edit. Colors can be changed to any color of your preferences. You can easily customize this template according to your needs. More pages can also be added. If you do not like the fonts that I have used, you can use any other font which you like 🙂 If you want to use this template without a photo, simply delete the default photo. Also, you can delete anything what is unnecessary for you. If you need my assistance for all of these, I am happy to help. 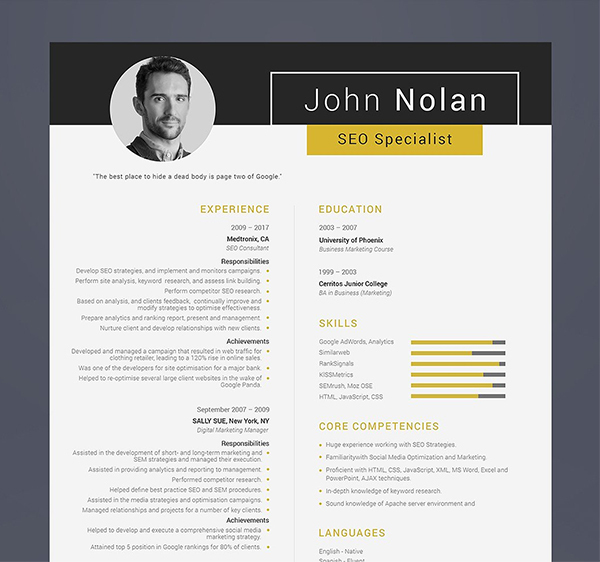 This is a well-designed and fully-editable Resume template for SEO Specialist .